Nods to Anne Elizabeth for the video. She is also a) getting married in three months (congrats!) and b) has a new book coming out in which her fictional hero has a suspicious likeness to her real-life main squeeze. Good on ya, girl! Hello. 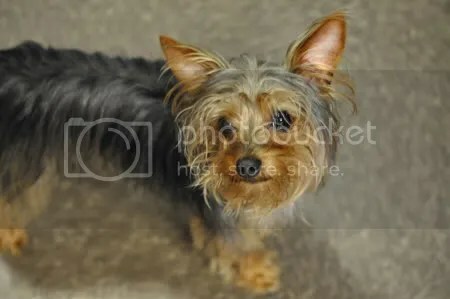 My name is Roxy and I’m a Tasmanian she-devil Yorkie Terrier. I’m a Solano Magazine office dog. Sitting in the window and talking at people. A couple weeks ago I was in Japantown hanging with cousin Ly, catching the Cherry Blossom Festival parade, doing some window shopping and of course, snacking on some good eats. Being the book hounds that we both are we ended up in the Japanese bookstore for a bit of a browse. 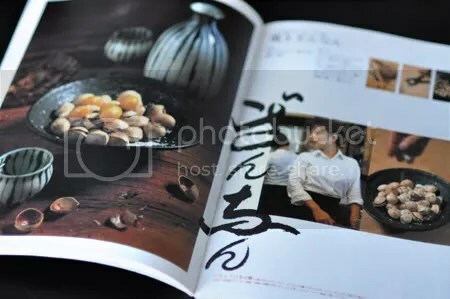 The large modern bookstore (think Barnes & Noble) was 99 percent Japanese books and periodicals, which read from back to front and have some pretty serious design going on. From a publisher’s perspective I was happy to just prowl around and absorb the design styles and publishing options. Cousin Ly is fluent in Japanese, but I’m not even close. No matter though—some things are universal. Welcome to my life. Instead of pulling on my usual jeans and sandals, I slipped on a suit and high heels—even combed my hair and slapped some eye makeup on—in order to give a presentation to the Solano County Board of Supervisors for the 2008 Solano Magazine Classic for Kids, which is our big fundraiser that has raised over $400,000 in the past two years. 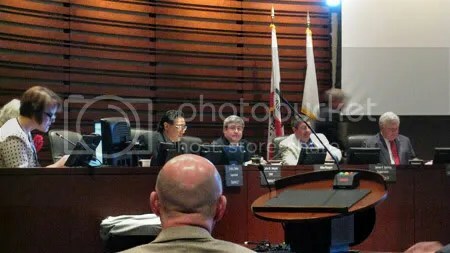 Originally, we were on the agenda to a) to do the presentation and b) to ask for matching funds for 2009, which the County has generously done for the past two years. Last week we decided not to go for item b at this time. With the political climate such as it is, well, we’ve been advised to wait for a bit and approach again in July, which is the next fiscal year, but still in time for our event September 25. Keep your fingers crossed. We got up there and did our dog and pony show. It was riveting. I’m sure you’re sad to have missed it. 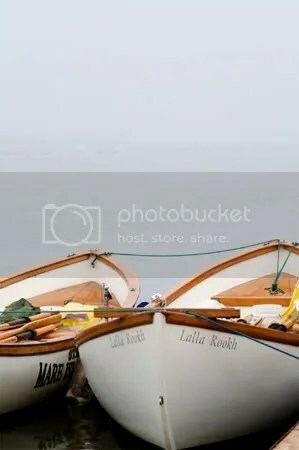 My rowing team, the Rowverines, made the front page of the local newspaper on Sunday. Go team! Apparently, at 36, I’m middle-aged. Huh. I didn’t realize that. A little bit of beet goes a long way and frequently when I buy a bunch of beets as I did one recent saturday morning, I’ll roast them all up and have leftovers. One of my favorite things to make with leftover beets is a smoothie. Sound wierd? Holy cow, don’t knock it until you’ve tried it. Beets are super sweet and pair up really nicely with a number of different fruits. In a smoothie they’re a knockout. 1. 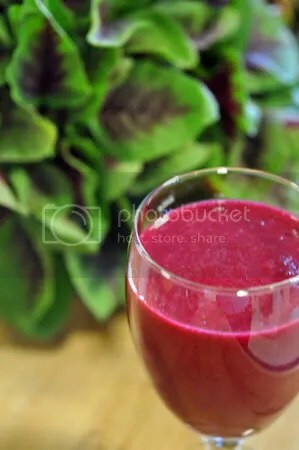 Roughly chop beets and strawberries into 2-inch pieces and dump in blender. Top with juice until it comes three quarters of the way up blender pitcher. Blend until nice and smooth. If you like strawberries more than beets, just increase the number strawberries and decrease the amount beets. You could also do this recipe with milk or just about any other fruit juice. Today we’re rowing the second race of the season—the 20th annual Coast Guard Challenge in Alameda.We’ll be getting up at o’ dark hundred (Yuck. Have I mentioned I’m not a morning person?) to drive the forty five minutes out to Alameda, hop in a 2,000-pound boat and row, row, row the sucker around Coast Guard island as fast as we can—hoping to pummel all the other teams with our tsunami-like wake. Crrrraaazzy, I know! But we’re gonna try anyway. 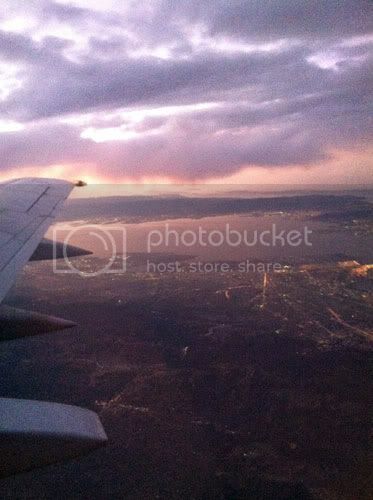 For those who couldn’t attend last weekend’s race, the Skipper Whipper in Vallejo, here’s a peek at the day. There are some days when dinner at my house can be pretty light—more snacky and finger-foody. Sometimes it’s just plain yogurt, cheese, and fruit. Sometimes it’s crudite with hummus or tzatziki. Or sometimes it’s olives, charcuterie and a little bread. Two fairly traditional choices are shown here: a garlic cheese spread and an artichoke olive mix. The cheese spread is to die for—the garlic is extremely mild so don’t worry that the flavor is too strong, it’s not. I use it in a million ways—as a dip for veggies, added to my egg salad, mixed in an omelet—it’s so versatile. 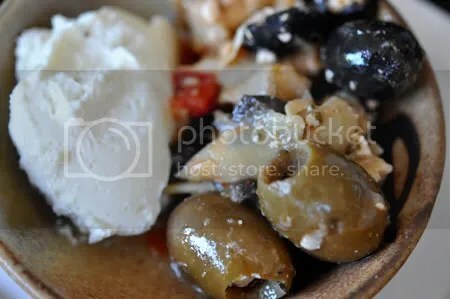 This olive mix is absolutely incredible and I’ve never seen it anywhere else. 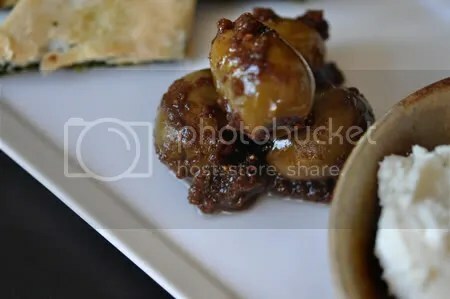 With its base of sweet figs it is like a dessert. A hint of blue cheese stuffed inside gives a bite of surprise. He doesn’t always have this mix, but when he does I ALWAYS get it. I often serve it with raw almonds or walnuts and Bosc pears. I’m telling you, it’s killer and I have addicted more than one friend to it. Right next to the Home Maid Company dude is always a vendor who sells pita breads, naan, flatbreads and a handful of pestos and spreads that usually differ from his aforementioned neighbor. He’s got a mild sweet chili sauce that I LOVE. 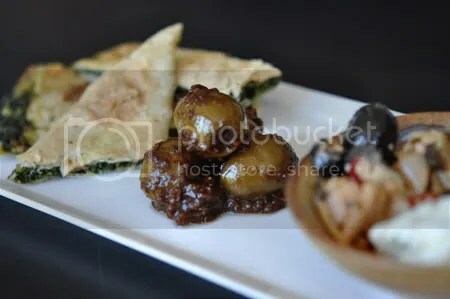 Whenever I have a party, I usually get the sweet chili sauce and a couple of his stuffed flat breads to have out as appetizers and they fly like hotcakes. They’re really flavorful and taste great warm or cold. People love ’em. 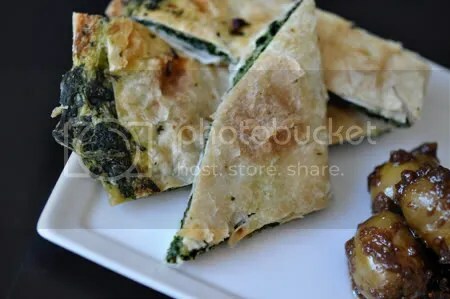 Here we’ve got spinach stuffed flatbread. Oh, brother. It’s all sooooooo good. And even better, assembling dinner only took three minutes, which allows me to spend at least a good hour relaxing, noshing and sipping a glass of wine while I catch up with family or friends. My goodness it’s been unbelievably hot here—in the 90s this entire week. Whimper. It’s not even May yet. Let’s save a little for summer, shall we? Now that the sun is out and summer is looming it’s time to pull out the good ol’ ice cream machine. 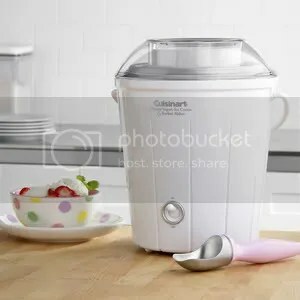 This little Cuisinart ice cream maker is the one I have and I love it like it’s my child. It runs for about $60 these days and this year it comes in an exclusive cherry red—I really like the cherry red, it looks passionate and pretty. Ya know, I really, REALLY love ice cream; however, ice cream REALLY does not love me. I repel lactose. I don’t want to, but I just do. It’s sad that we have such a one-sided relationship. I’m still in denial. Shopping for beauty products … who knew it could be so shocking?